Moms Demand Action Arizona is held the event just days before the one-year anniversary of the Stoneman Douglas High School Shooting in Parkland, Florida. 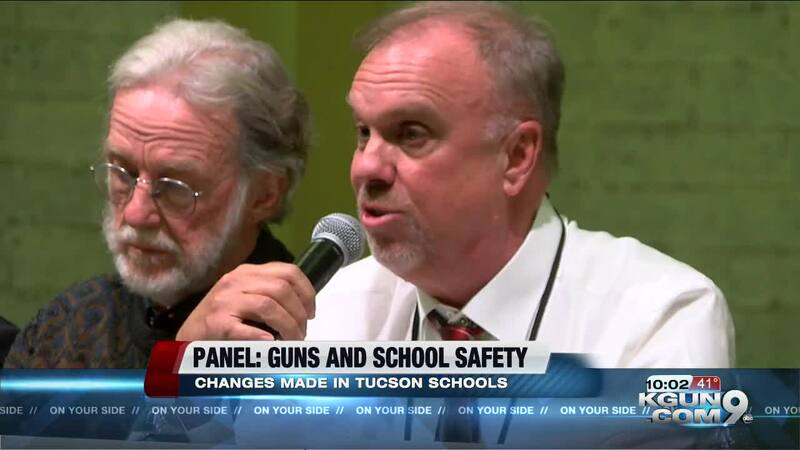 TUCSON, Ariz. - Local gun safety advocates held a panel discussion Monday night to discuss school safety. Moms Demand Action Arizona is held the event just days before the one-year anniversary of the Stoneman Douglas High School Shooting in Parkland, Florida . 17 students and staff members were killed, and 17 more were injured on Feb. 14, 2018. Panelists included a school safety officer, social worker, TEA representative, the Tucson Police Department, and Tucson Unified School District Board member. Deborah Parker with Moms Demand Action says her 12-year-old daughter doesn't know a life without active shooter drills. "But as a mom, and I get a text message saying we're doing a drill, hopefully it's not real, it breaks my heart," Parker said. "It makes me sad to think that that's what we're doing to our children. They deserve so much more than what we're doing right now." During the discussion, TPD said they have been training for situations like Parkland for almost 20 years -- since Columbine. TUSD says they've taken steps to increase security on campus and make lockdown drills more efficient. The district's director of school safety, Jeffrey Coleman, says holding drills in passing periods or during lunchtime is more of a challenge, but realistic. "We are to the point where we're accomplishing most of these lockdowns in well under 30 seconds, and sometimes closer to 10," Coleman said. The panelists also discussed increasing security on campuses and improving the relationship between fire, police, and school resource officers. Moms Demand Action is heading to Phoenix on Tuesday to show support of Senate Bill 1219 -- what they call the red flag bill. If passed, SB 1219 would make Arizona law as strong as federal, by preventing domestic abusers from buying or having guns.